I found it hard to put this book down! 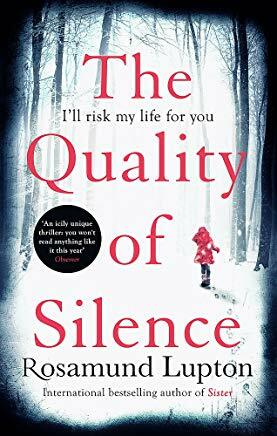 It tells the story of Yasmin and her profoundly deaf ten year-old daughter Ruby who go on a perilous search for Ruby’s father in Northern Alaska during the winter. It’s a thriller that draws you into its icy web and I found myself holding my breath at points. It’s not just about their search, it has an environment message and it’s also about Yasmin and Ruby becoming closer as they deal with challenges and learn to rely in each other. Ruby’s parts are in first person and Yasmin’s are in third person. The tension builds up well thoughout the book as the stakes get higher and Yasmin and Ruby are fighting for their lives. The twists at the end are surprising and there are some touching bonding moments between mother and daughter. I loved the variety of ways that Ruby communicates: by signing, tweeting and using her computer. I learnt a lot about what it takes to survive in the Arctic night and the way people survived there in the past. My main dislike of the book was that Ruby is not a ten year-old, as her thoughts are far too complex for someone of that age. I think that Lupton should have made her a twelve year-old at least or made her language more simple. She tells us that Ruby is gifted and shows it by having her use the word onomatopoeic, but this is taught to all six-year olds at school! If it wasn’t mentioned so often that she was ten, it would have passed by, but for me it kept interrupting the flow of the narrative. I also found Yasmin’s negative attitude to her daughter using technology to communicate unrealistic, as parents of children with disabilities will use anything that helps their child make their way in life.